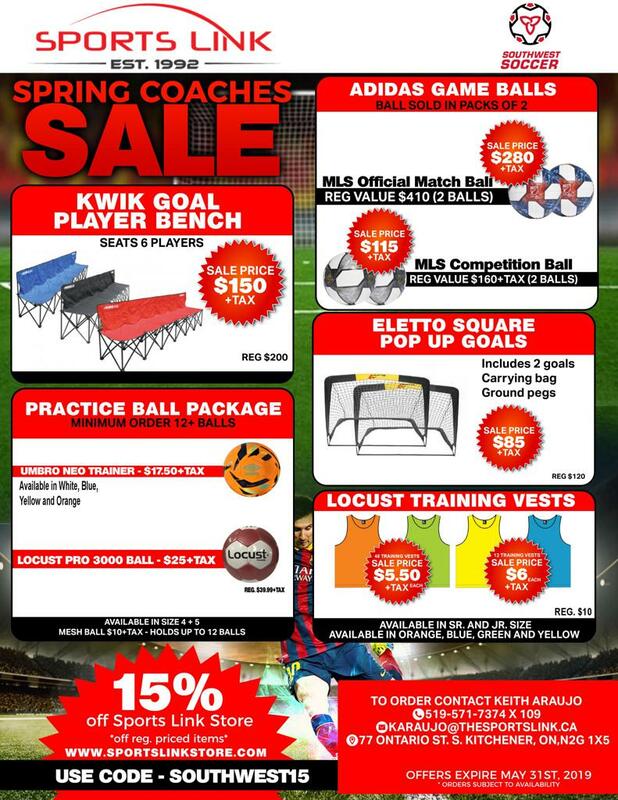 Our partners Sports Link have come up with some great deals for coaches all over our district! Even if you are not from the KW region, you can still head to their website and shop using the 15% code SOUTHWEST15. If you are looking to make a team order, contact Keith Araujo at 519-571-7374 ext. 109 . Coaches you have until May 31st to take advantage of these great offers!